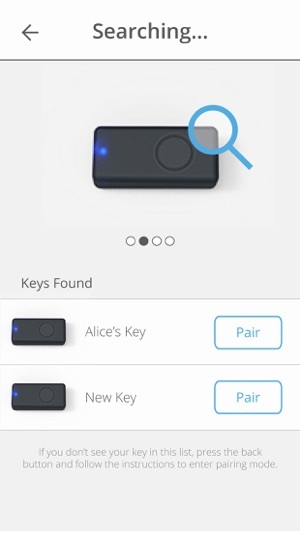 Everykey is a Bluetooth device that replaces your keys and passwords. Using military grade security, Everykey unlocks your phone, laptop, tablet, house door, car door, and other access-controlled devices when you are nearby, then locks them back down when you walk away. 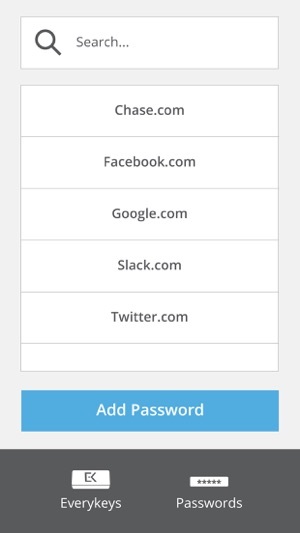 Everykey also generates secure passwords for your website accounts, then automatically logs you in when you visit a website. 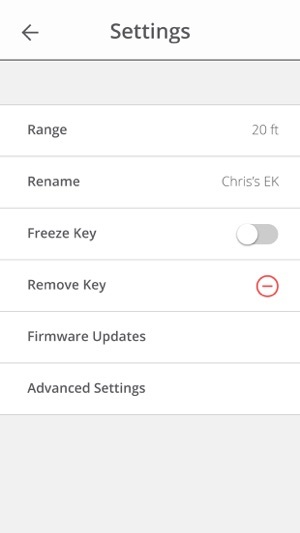 If you lose your Everykey, you can remotely freeze it, so no one else can use it. Everykey is available for all major mobile and desktop operating systems. Bought this with all the hype of ads I’ve seen about the product. Eager to get the item and test it out with high hopes. First out of the box the EveryKey did not work in my new Acer predator gaming computer. Thinking maybe it was a fluke I tried to use it on my IPhone 7 Plus with no luck getting it to work on either. Owner of their Instagram account told me to contact support email to get my issues solved. After contacting them through email they tried referring me to a poorly thought out FAQ page with problems solved. None of their solutions worked that I tried. I finally got the unit to start working on the 3rd day of owning it on the computer. Excited I tried on my phone again. Turns out the EveryKey doesn’t unlock apps from what their support team says. It only works on the phone if your going to websites through explorer or chrome which I didn’t try because everyone uses apps for what they need. So that’s a waste of time and money. Thinking I would just eat the $70 it took to buy this and just use it with my computer and it wouldn’t connect. Says I needed the unit closer because it was out of range. The unit was literally sitting on the keyboard. Poor design , poor execution , over hyped with ads and commercials. The company claims to have billions of users using this everyday which is hard to believe when you can’t get the unit to work. To me it’s a pretty good scam using the popularity of a known security “expert” to sell a product that you will play hell getting to work for you. This will not do anything any other free application or chrome extension will do without getting charged $70 for a piece of plastic that was under developed with known flaws that their engineers and design team are trying to fix as people are still buying the product . so, I just received my Everykey today. I’ve installed it on my laptop, my phone and on my iPad. What I’ve found is that, while it not only doesn’t work as is presented in the video, it doesn’t work at all. The Bluetooth connection cannot be maintained between my various devices and the everykey meaning I have to go through the pairing process each time I want to use it. This is a drastic departure from what is shown in the videos. And while my computer, a MacBook Pro can connect to it when it is directly connected via a usb cable, it can’t make a Bluetooth connection that can be maintained by the device. This device seems like an interesting idea, but is nowhere near ready for the market at this point. The developers simply don’t seem to know enough about what they’re doing to have created something that functions as advertised. Makes me wish I could get my money back. If you’re thinking of spending the money, stop. Check to see if there are other devices in the marketplace that are perhaps further along in their development process than Everykey. This one is a dud and most definitely not worth the money, even at half price. Stability of our product has greatly improved, and you should have a much better Bluetooth connection. 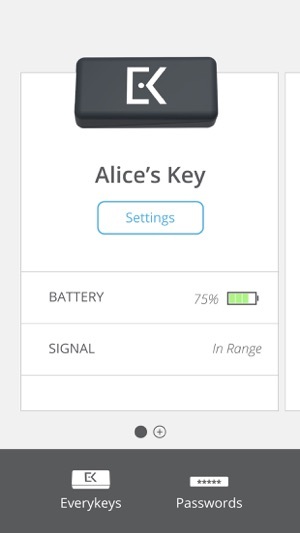 You should not have to pair your Everykey every time you want to use it, and you can charge your Everykey by connecting the charging cable to your computer. We have recently released a new version of Everykey for iOS! Our latest version should solve your adding passwords issue. This version includes the autofill feature that enables Everykey to fill in your username and password automatically for the online accounts you have saved to Everykey. All you have to do is navigate to the account you want to log in to, tap the "share" button, and then tap the Everykey extension, and your credentials will automatically populate the login fields! Then, all you do is tap the login button, and you will be logged in to your account. Please install the latest version of Everykey for iOS! 2. Navigate to a website that Everykey has a password stored for. 3. Tap the Share button (indicated by a box with an arrow pointing up). 4. Swipe through the bottom row of icons and tap More. 5. Locate Everykey and toggle the switch to enable it. 6. Drag Everykey to the top of the list. - your app is completely buggy. Crashes on almost every action. I've had to setup my account about a dozen times before it got through without crashing. Blank security question? Crash. Add a password? Crash. Retrieve a password? Crash. You get the idea. Each time it crashes, you have to sign up all over again. - the key itself feels very cheap and fragile. The microusb port is rectangular instead of trapezoidal, so it's hard to determine cable orientation. Why not USB C? - I can't add passwords to the key. It looks like it's accepting the password, then it doesn't. Or it crashes. - the safari extension has two issues: first, it has a blank icon. Second, the UI is a blank screen with no text at all. It's as if the programmer just quit halfway through Xcode training. At this point I've wasted 60 minutes trying to get basic functionality working. I think Everykey spent more money on marketing and designing their logo than they did on engineering and basic functionality. How did this pass QA testing? We have recently released a new version of Everykey for iOS! This version should fix your crash issues. When we designed Everykey USB C was not yet available but we are wotrking on incorporating this in our version 2 product. This version includes the autofill feature that enables Everykey to fill in your username and password automatically for the online accounts you have saved to Everykey. All you have to do is navigate to the account you want to log in to, tap the "share" button, and then tap the Everykey extension, and your credentials will automatically populate the login fields! Then, all you do is tap the login button, and you will be logged in to your account. Please try our latest version of Everykey for iOS! In addition if you are using Everykey with your computers or other extensions, please get our latest versions from the following link: https://everykey.com/downloads If you continue to have issues please contact support@everykey.com and an agent will assist you as soon as possible.